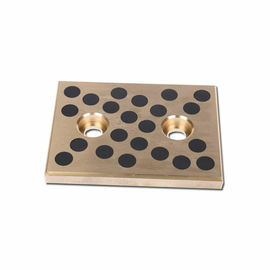 The solid bronze/iron material is ideally suited for highly demanding applications in tough environments. 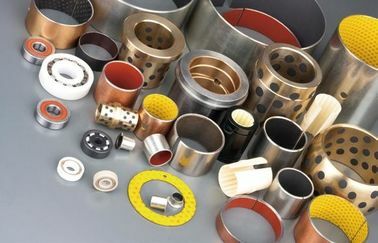 We offer a standard assortment of plain sleeve bushings, flanged bushings and sliding plates.Plug Graphite Bearings. Plug graphite bearings are primarily used in applications that need continual lubrication in hard to reach areas. Graphite is mechanically forced into the holes/grooves under extreme pressure. A film of lubricant is transferred to the shaft as it begins to turn. 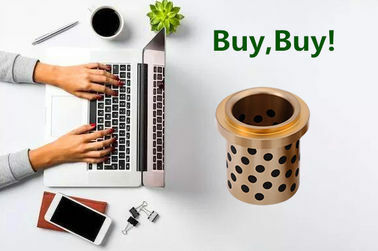 VIIPLUS bronze graphite oilless bush is a material suitable for heavy loads at low sliding speed, solid lubricant is provided by Graphite with additive, which is inserted into the bronze structure of the bearings. The base material are CuZn25Al5. 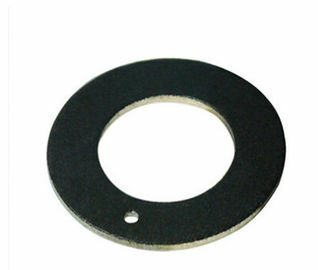 The available items in this material are the cylindrical and flanged bush, washers, strips, and special part on customer requests. Inlaid Plate, Inlaid Plate Suppliers and Manufacturers. 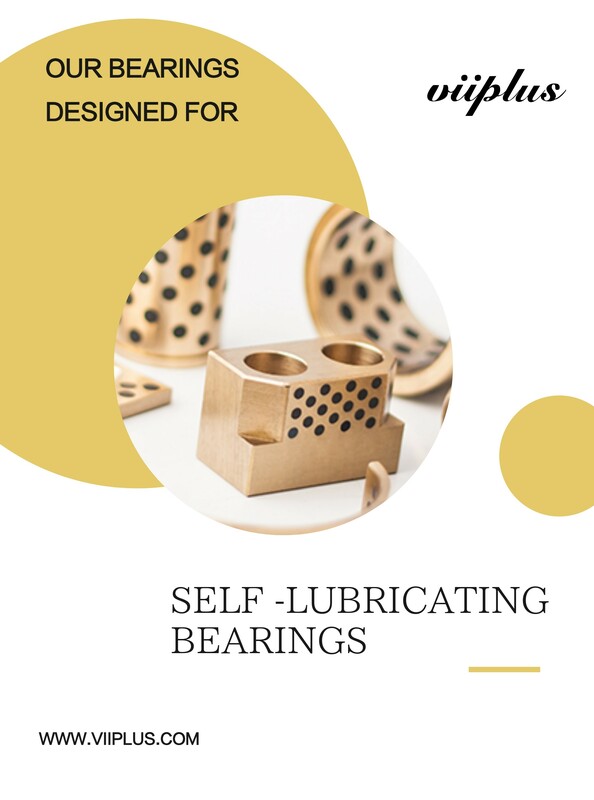 This kind of bearing can be applied under dry, high temperature, high pressure, corrosive, water or other chemical environments when no oil can be introduced. It is widely used in automotive products line, water engineering, dam gate, plastic industries, successive casting machines, steel rollers in metallurgy industry, mineral machines, ships, turbo generators, hydraulic turbines and injection molding machines. ● With low wear rate and long life service. High speed bearings for moderate loads, anti-seizing, conforms to shaft irregularities. 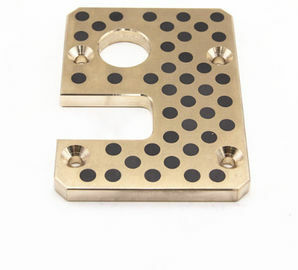 Aluminum-Bronze Solid Lubricating Silde Block is backed with Aluminum-Bronze alloy with good capability of mechanics, castings and anti-erosion. The surface of Aluminum-Bronze Solid Lubricating Silde Block is regularly and finely machined with sockets in which particular solid lubricant is filled. 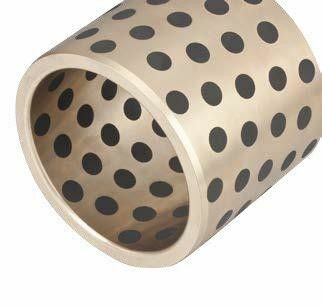 Aluminum-Bronze Solid Lubricating Silde Block is widely used conditions with mediate load but higher temperature and condition with mediate running velocity etc. The surface of Aluminum-Bronze Solid Lubricating Silde Block is regularly and finely machined with sockets in which particular solid lubricant is filled. 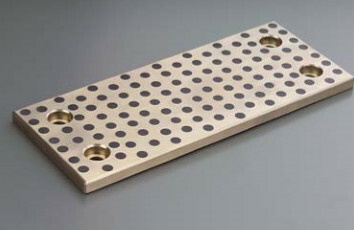 VSB-50P Sliding Block material is made of strong cast bronze based metal with special solid lubricants embedded. The base metal withstands high load and the solid lubricants provide self-lubrication. The bearing shows excellent performance without pre-lubrication under conditions of extreme high/low temperature with low speed. This material provides a maintenance-free bearing solution, particularly for high load, intermittent of oscillating motion.